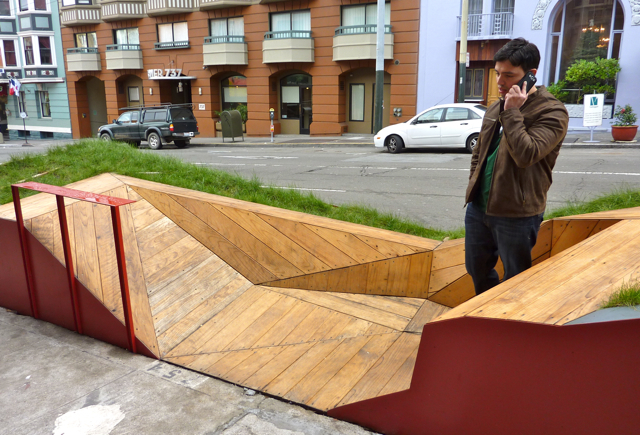 “Parklets” are small pocket parks built inside of former street-side parking spaces. The idea behind parklets is that you can take a small amount of space (like one, two, or three parking spaces) and turn it in to something that can be a public amenity. 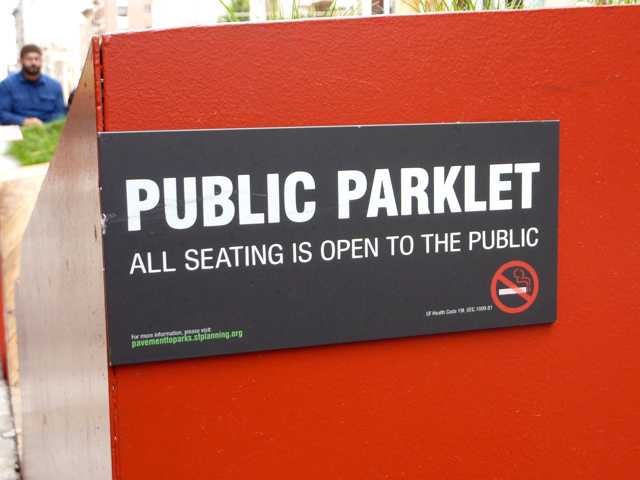 Parklets are intended to be open to the public and are usually situated in front of a restaurant or market. The design of parklets can vary widely and unfortunately, certain design elements can sometimes give the impression that the parklet is private seating specific to that restaurant or market instead of a space open to the general public. 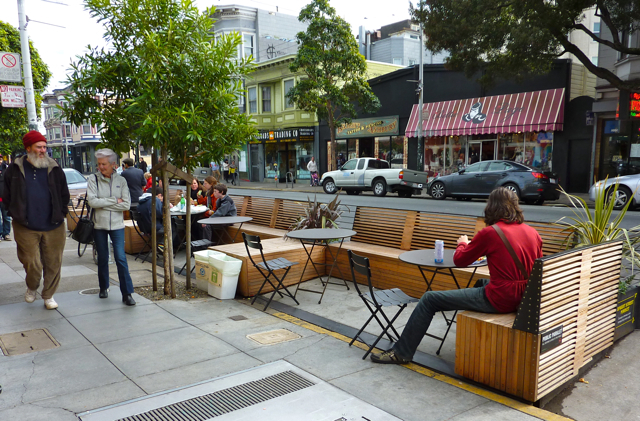 For example, crowded parklets full of bistro tables and high, dense walls can look like cafe seating while parklets with varying seating and standing options (the red parklet below has a tall bar where you can place your elbows or food and beverages) and an open design with high visibility can appear to be more welcoming and meant for anyone to relax in and enjoy. 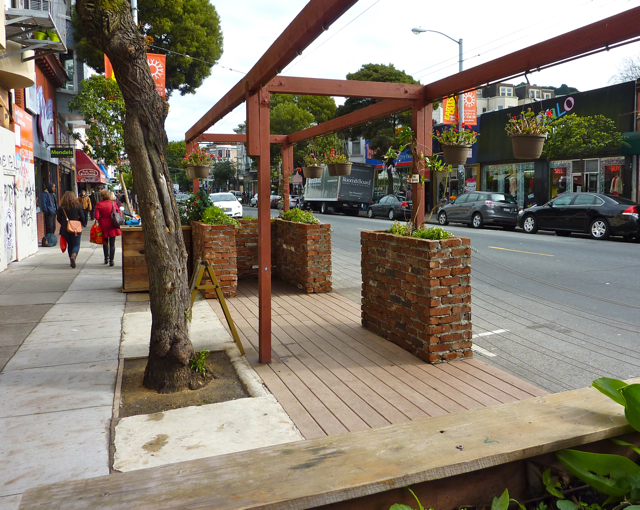 San Francisco has been a leader in the parklets movement and their Pavement to Parks program works with businesses to build parklets in front of their shops/restaurants. When I was home for the holidays, I visited San Francisco and snapped a few photos of some parklets that seemed to be working well as approachable and accessible public spaces- even on a cold and rainy day.